Today author Tony Riches chats with us from across the sea in beautiful West Wales, close to Pembroke Castle – birthplace of King Henry VII, founder of the Tudor dynasty. Best known for his non fiction work, Tony has recently published his first novel Queen Sacrifice. Q.What inspired you to become an author? A. Like many authors I began writing short stories and contributing to a range of magazines but it was when I read Stephen King’s On Writing: A Memoir of the Craft that I really felt inspired to begin writing a novel. Q. 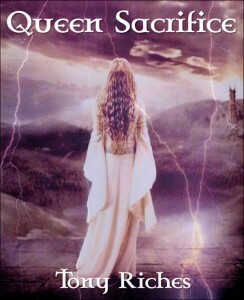 How did you come up with the idea for Queen Sacrifice? A. Queen Sacrifice was one of those rare ideas that came into my mind ‘fully formed’. I had been exploring the early history of Wales and suddenly realized how the battles between kings reminded me of a game of chess, as there were bishops and early knights supporting both sides. Looking at the map of early Wales, I also realized it would be possible to overlay a chessboard over the whole country and identify four castles as the ‘rooks’. I started looking at famous chess games and decided it would be fun to faithfully follow every move in the 1956 ‘Queen Sacrifice’ game known by chess players as ‘the game of the century,’ with every piece a compelling character in the story. Q. What do you think readers will enjoy most about your book? A. I put a lot of time and effort into researching the details of life in 10th Century Wales and carefully chose authentic Welsh names for all the characters (and a Saxon name for the white queen). Readers seem to fall into two groups – chess players who enjoy checking I haven’t missed out any moves and people who have told me they quickly forgot it was anything to do with chess! Q. What advice would you give to a new author trying to get their book published? Q. Are you currently working on other books? A. I have just published my third non-fiction book Terra Nova: Antarctic Voyager about Captain Scott’s ship, inspired by the recent discovery of seven letters from a member of the crew – and of course the centenary. I was very lucky to have the support of Scott’s granddaughter, the artist Dafila Scott. I am also half way through my second novel which is based in Mombasa (I grew up in Kenya) about tourists kidnapped from the beach by Somali pirates. 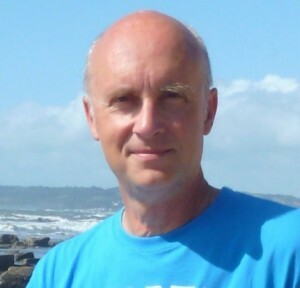 Tony Riches has a BA Degree in Psychology and an MBA from Cardiff University. His first novel, ‘Queen Sacrifice’ was written after looking into the early history of Wales and seeing the parallels to a game of chess, with kings and queens, bishops and castles – and the people becoming pawns in their civil wars. An interest in space exploration going back to witnessing the Apollo landings as a child led to the writing of Atlantis – The Final Space Shuttle Mission and development of the NASA Latest blog, which has only been possible through the generous support of the NASA media team. Before becoming a writer he was Head of Cardiff Harbour Authority and supported the Captain Scott Society with exhibitions on the departure of Scott’s ship the Terra Nova from Cardiff Docks in 1910. He has since researched and written Terra Nova: Antarctic Voyager with support from the Glamorgan Archives and Captain Scott’s granddaughter, Dafila Scott. When not writing Tony enjoys sea and river kayaking and run a specialist blog Kayak Journeys about some of his kayaking adventures.